Sippi loves that cool blues beat, and in the Delta town she calls home, the rhythms are only ever a few steps away. When she’s not grooving in the juke joint with all her friends, Sippi can be found tapping her toes to the beat of the street. Follow Sippi Sue as she discovers amazing music in the mundane sounds of everyday life. The pitter-patter of rain becomes the backbeat to her own blues song, and tinkling glass bottles or the thrumming of trash cans banging together make up the melody. 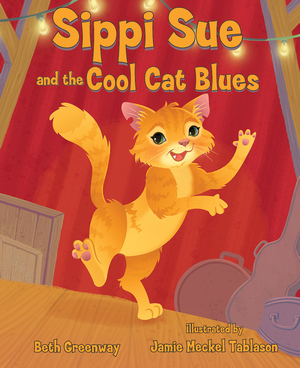 By the end of this tale, Sippi will have everyone singing and grooving along with her! A cast of city residents—animals and humans—all join together to take part in the cool cat blues! Beth Greenway attended the University of Michigan, receiving her bachelor’s degree in anthropology. Since then, she has lived many places, including Hawaii, which inspired her to write her first children’s book. Jamie Tablason received her BFA and MFA from California State University at Long Beach. 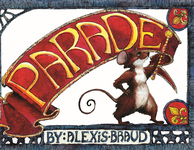 She has done freelance illustration and design for children’s books, and this is her third book with author Beth Greenway.